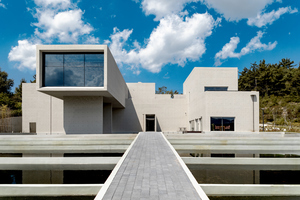 Namwon City's Kim Byungjong Art Museum, located in the Chun-hyang theme park in Namwon City, Jeollabuk-do, opened on March 2, 2018. 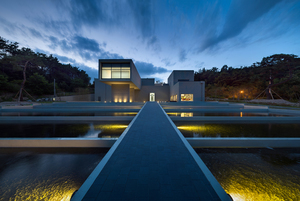 As a public art museum directly operated by Namwon city, it aims to improve the quality of life of citizens and to inform the characteristics of local art through the exhibition space for local artists. 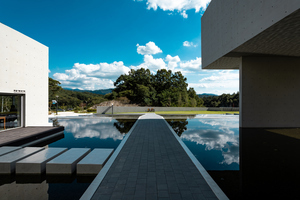 In particular, Kim Byungjong (b.1953), a native of Namwon, provided the foundation for his collection by donating his masterpieces to Namwon City in large quantities. NKAM intends to re-examine contemporary Korean paintings (details of oriental paintings), which are the main collections of our museum, collecting and studying works of Kim Byungjong and promoting local art. The three strategies above are key elements that emphasize the local characteristics of Namwon with the slogan of "city where tradition and future coexist" in terms of art. 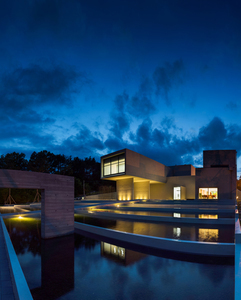 Surrounded by forests, Namwon City Kim Byungjong Art Museum is a mixed-use cultural facility where contemporary people, who are tired of busy everyday life, come to visit and admire nature as well as art. It is also a space where art and literature coexist by introducing various literary materials donated by artist Kim Byungjong, who is famous as a literary person as well. The book cafe with about 2,000 books on art, literature, and humanities is contributing to the unique role of this museum.NKAM is humbly lying facing toward the Mt. Jiri, the "Mountain of Mother". Clouds along the mountains are the busiest, and birds are the most turbulent. It is where visitors become relaxed. Here at NKAM, nature, art, and literature coexist peacefully altogether.